Those of you old enough remember my collection of burnt foods I used to have. 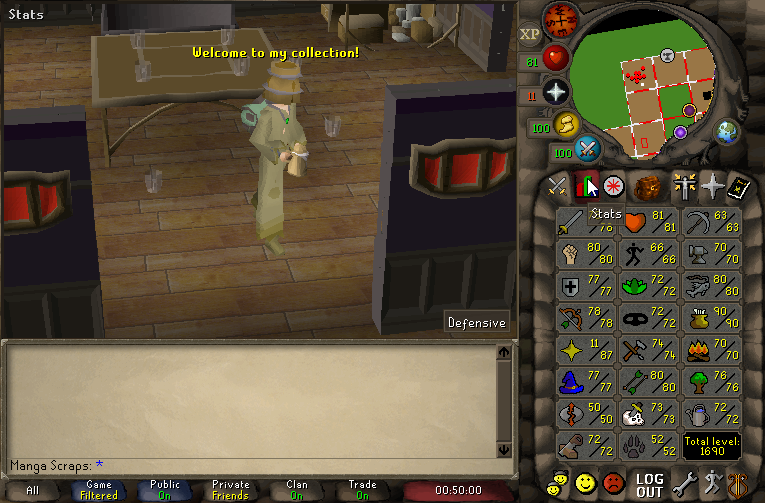 I have decided to restart that collection on OldSchool RuneScape. However, I am expanding my scope, so lets get weird with it. Weird things I am collecting. If you would like to contribute to the collection Message Manga Scraps in-game and we will arrange a meetup, I at this time cannot provide payment for any items for the collection. Woot! Glad to see this is starting up again! I'll start saving my burnts for you! I have updated my collection, thanks for the support so far. I hope you don't have a thing for burnt meat in real life, that stuff is carcinogenic. (09-23-2018, 07:21 PM)Ramu Wrote: I hope you don't have a thing for burnt meat in real life, that stuff is carcinogenic. I do like my steaks well done. Didn't even realize 'hair' existed as an item in the game. 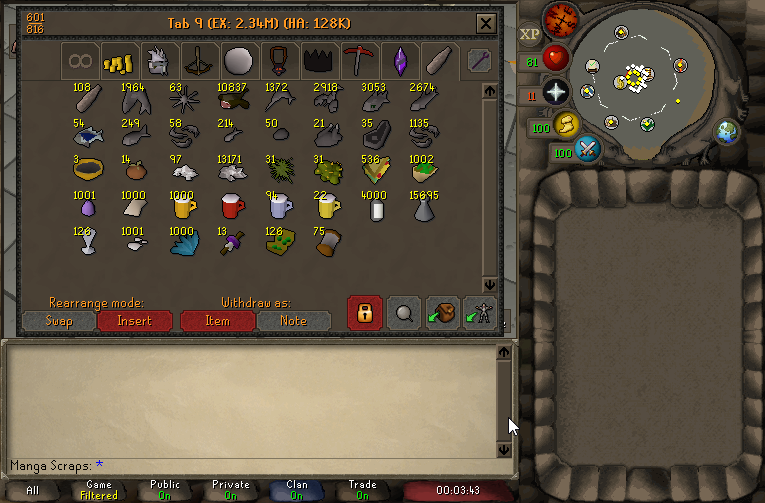 o _O Just curious, are you buying any of the items from the GE (the tradeable ones like hair/mithril seeds) or is that collection only from trades from people so far? (09-24-2018, 03:38 PM)I Love You Wrote: Didn't even realize 'hair' existed as an item in the game. o _O Just curious, are you buying any of the items from the GE (the tradeable ones like hair/mithril seeds) or is that collection only from trades from people so far? I'm buying some of the trade-able stuff but It gets expensive so I only do it when I have expendable money. Current time: 04-24-2019, 10:48 AM Powered By MyBB, © 2002-2019 MyBB Group.